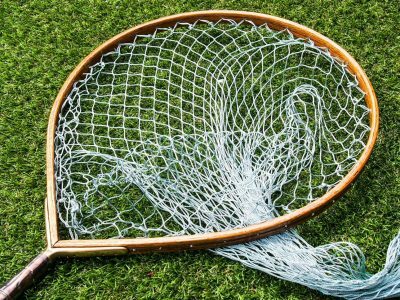 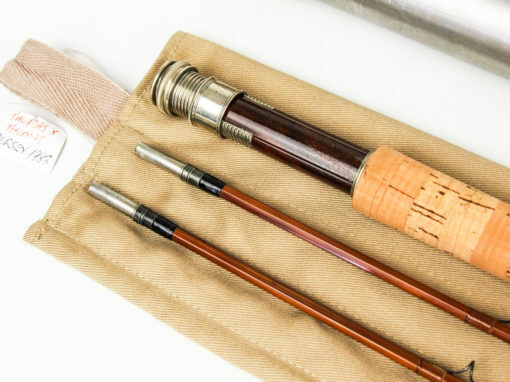 In very condition as I doubt it has been used more than a few times. 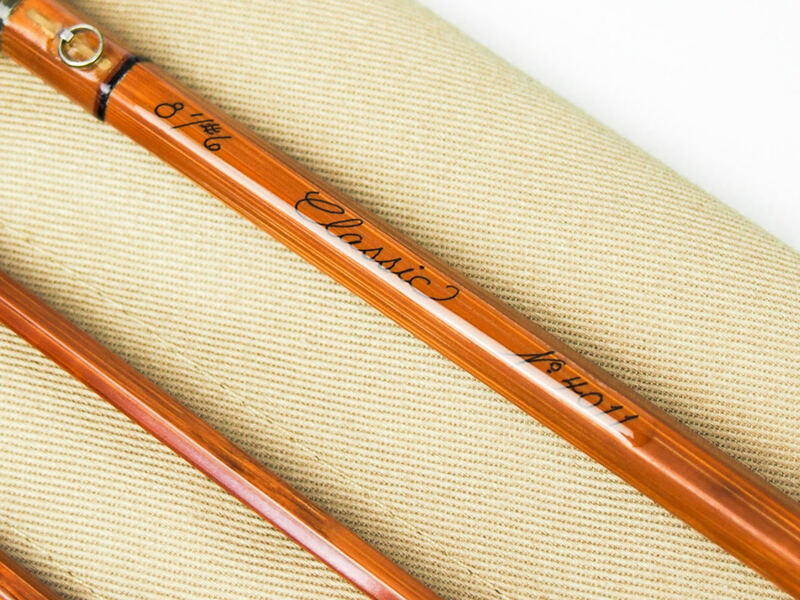 Classic Series Bamboo rods are built around finely tuned tapers resulting in extremely smooth, medium actions. The impregnated finish creates a rod that is incredibly durable while still pleasing on the eye. 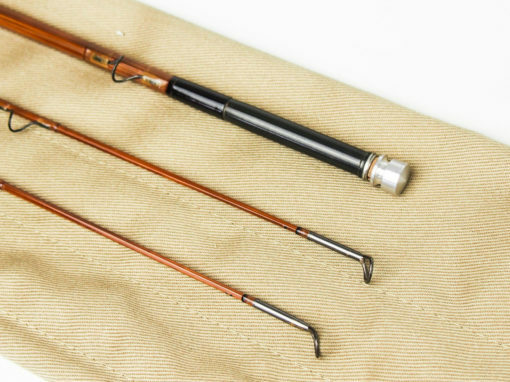 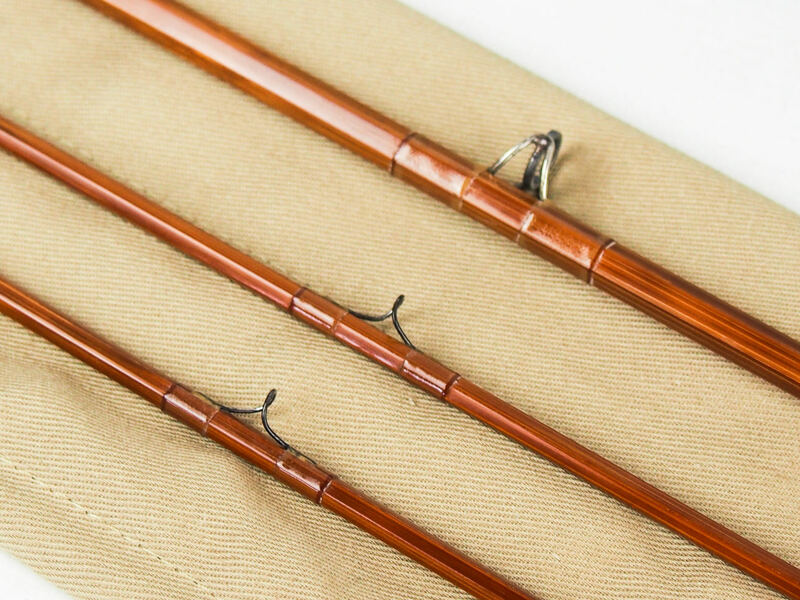 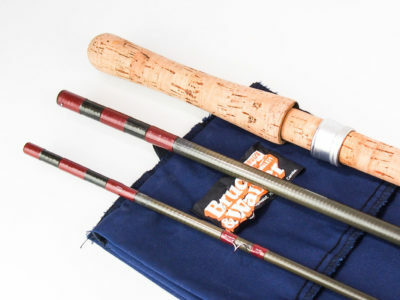 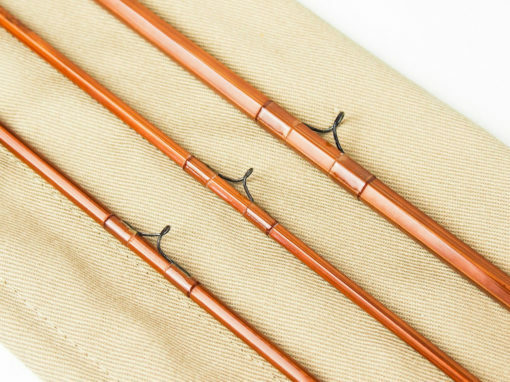 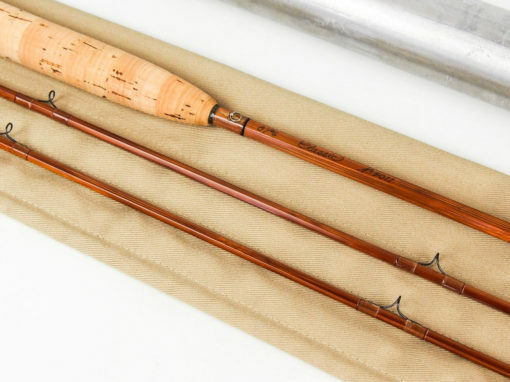 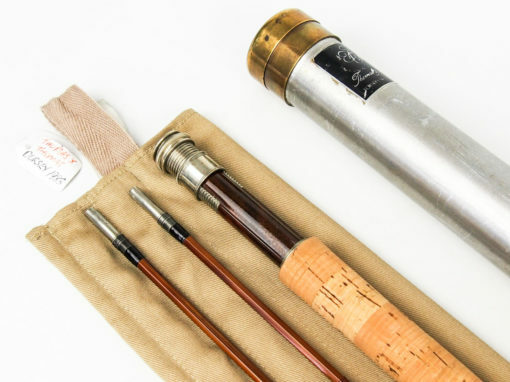 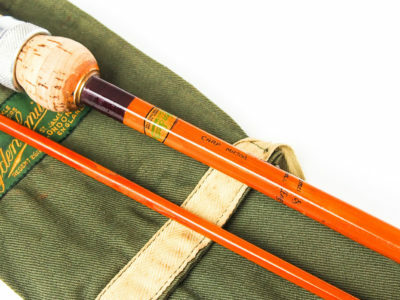 These rods are built to be fished and find favor among anglers that seek the joys of bamboo but have no intention of giving their fly rods the ‘white glove’ treatment. 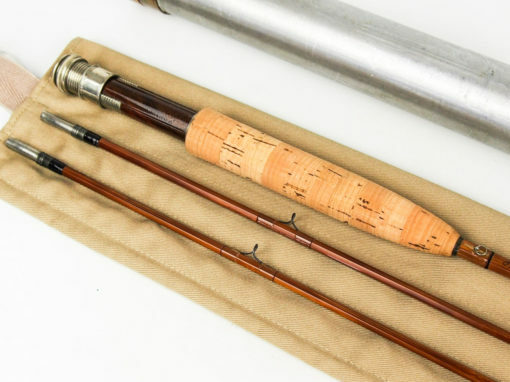 The rod is 8′ long, completely straight with no sets or warps, with dark honey silk wraps, hardwood reel seat with nickel silver fittings, hayfork tip ring and snake rings throughout. 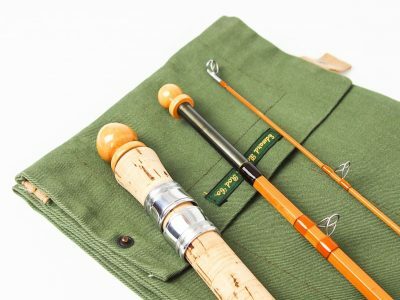 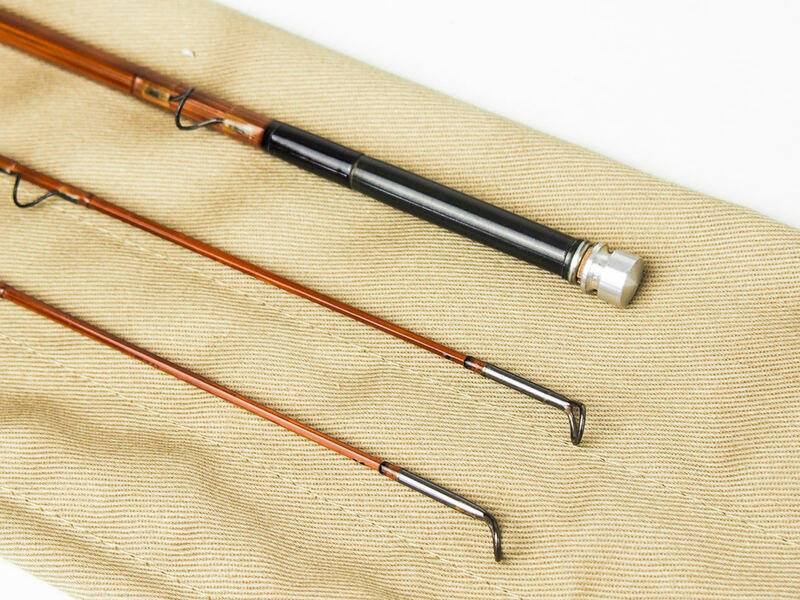 Whether you are buying this rod to use, collect or just as an investment it will be a pleasure to hold and to own!